On Friday 4th April we'll be testing out our shiny new Motion Capture system at Bucks. The Events Hall in the Gateway building will play host to our latest, biggest and most expensive digital toy, extremely useful not just for animators hoping to capture excellent physical performances but also for students studying sports and motion analysis. On Friday we are welcoming students with some experience of motion capture (and even those with none) to come along and help us get the system to work. What Does a Producer Do, Exactly? What does a producer do, exactly? This is an important question for anyone who hopes to go into the entertainment business. Here at Bucks we teach students to animate. We teach art, design, computer skills, everything you need to become a digital artist. But we don't teach producing. As a result, most of our students have only a slender grasp of what actually is involved in producing a project. Arguably, we should teach producing. After all, when you go to the movies and watch the credits, there seem to be a lot of producers. And also sub-species of producer. Like associate producers. And executive producers. And line producers. And creative producers. And what do all these titles mean anyway? Recently our first year animation students have been experimenting with fluid dymanics, using Realflow to produce animation effects. 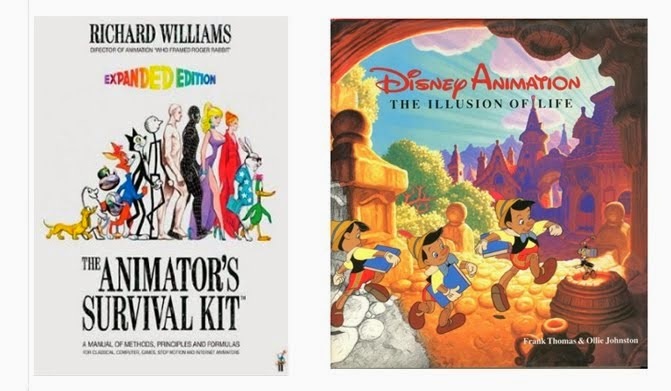 The results have been excellent, all of which goes to show that technology is rapidly changing what we think of animation, and the way that the medium can be accessed by students. Traditional key-frame animation is just one way to make things come to life. Dynamics and simulation software should be as much a part of an animator's toolkit as motion capture or motion graphics - all part of the way we breathe life into our work. 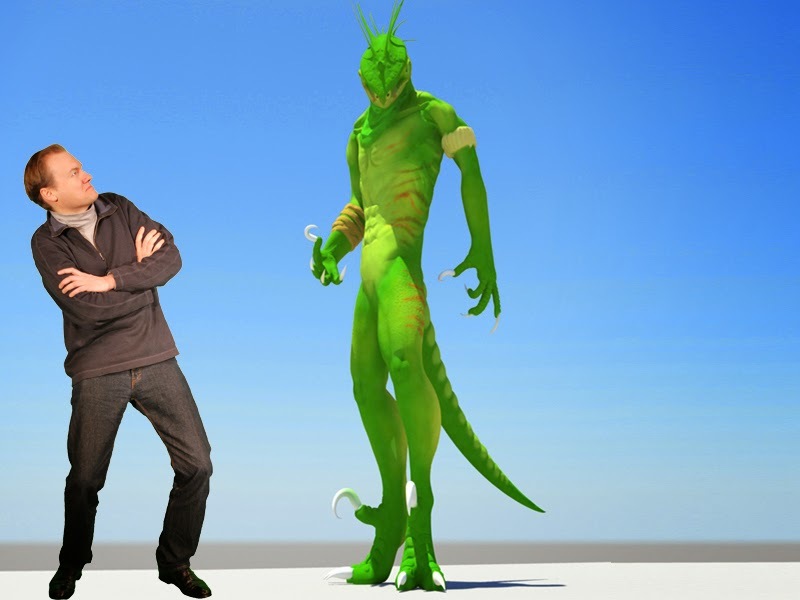 On Monday 31 March we are fortunate to have Steve Burch visit Bucks for a lecture and workshop on Producing Animation. 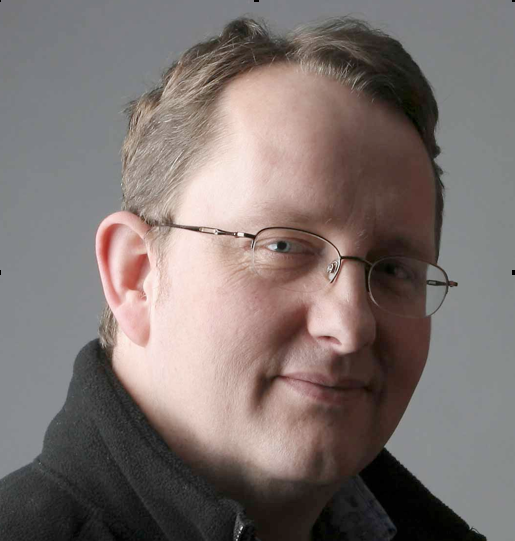 Steve has 26 years experience in the industry, having worked on 11 animated features in Hollywood and Europe including Brad Bird’s modern classic The Iron Giant. 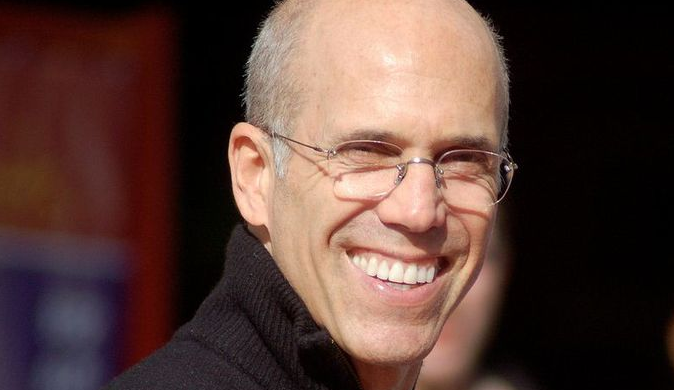 His roles have included Special Effects Supervisor for Dreamworks and Warner Brothers feature films. Steve has worked with three Oscar winning directors and has produced and directed many commercials and animated shorts. 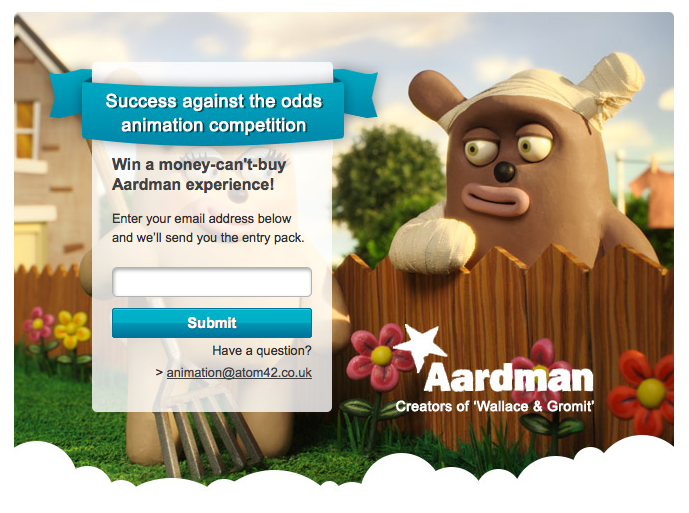 National Accident Helpline has teamed up with Aardman Animation to run an animation competition called 'Success against the odds'. Aspiring animators are invited to create a short animation on this theme, for a chance to win a tour of the Aardman studios, a 'Make a Morph' workshop, an original Morph artwork signed by Peter Lord, plus paid travel expenses and accommodation. The winner and shortlisted entrants will also get personalised feedback on their animation from Aardman. Universities across the UK are suffering a sector-wide fall in applications. But here at Bucks we are celebrating a big increase in applicants for our new Animation & Visual Effects Course, launched in September 2013. Why are our numbers up? We think it's because of our big ambition - to be the best Animation and Visual Effects course in the country. 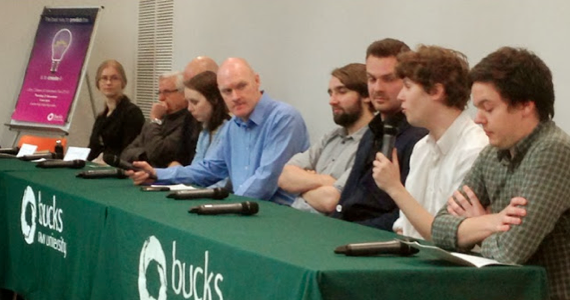 Yesterday, friday 21 March 2014, was our latest Graduate Panel, a regular event where we invite Bucks Graduates to come back to their university and talk about how they forged their careers in digital media. They all studied here at Bucks and each one of them understands better than anyone how to turn the skills they acquired at university into a successful career in the entertainment industry. The Learning Partnership Agreement is a formal agreement thrashed out between staff and students here at Bucks. It sets out what you can expect from the staff, and what staff can expect from students. The document was produced jointly by students, the Students' Union, and the University, and gets reviewed and updated each year. Why is it important? Because it sets out in detail what exactly you can expect from the university. I'll be doing a live animation webinar courtesy of London's Escape Studios on Wednesday 26 March at 6pm. We'll be tackling the animation of multi-legged creatures, and I'll be demonstrating a technique that allows you to animate apparently complex creatures in a simple way, creating sophisticated animation in a clean and efficient workflow. It's only an hour long, it'll be fun - and it's completely free! Framestore is looking for talented and creative undergraduate students to join their 2014 summer intern scheme. According to Framestore, "the Internship will give the successful applicants a unique opportunity to become important members of the creative team and gain valuable experience working for one of the largest and most respected special effects and computer animation studios in Europe". Framestore say that they are looking for "individuals who share their passion for high-end visual effects and can demonstrate a genuine commitment to their chosen career path". How animation graduates find work in the animation industry? 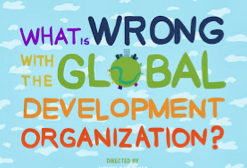 There is no simple answer to this question. Jobs in the entertainment industry have always been highly competitive, and the supply of trained graduates competing for the best entry-level positions has never been greater. Official jobs postings, word of mouth, rumours in the pub, personal contacts, even cold-calling - all of these can be effective ways to find work in the business. Below are the twelve key rules we think are vital for success. Jens Kopke is one of our talented animation graduates from Bucks, who has since found work in his native Hamburg as a motion design artist at DeliPictures. His short film (shown above) was completed right here in High Wycombe and combined live action with visual effects and motion graphics, winning an honourable mention at the D&AD Awards. We asked Jens to talk about his film, what he has been doing since graduating from university, and what it takes to forge a successful career in digital media. Calling all film enthusiasts at Bucks: The BNU Film society is re-launching itself this coming Thursday 20th March. The film society is the best place to go at Bucks to watch, share and discuss films with people who love films just as much as you do. Needless to say, anyone can stay at home and watch a film alone, but nothing beats sharing the excitement of watching an action, fantasy, science fiction, romance, thriller, horror or comedy with friends and others who share the same enthusiasm. Tom So is an actor, model, Qi Gong practitioner and Tai Chi expert. You may recognise him from the poker scene in Casino Royale, in which he played Fukutu, one of the world's top poker players. Tom is an expert in martial arts and has made a lifetime study of how energy moves through the body and what energies a person can feel, both internally and externally. 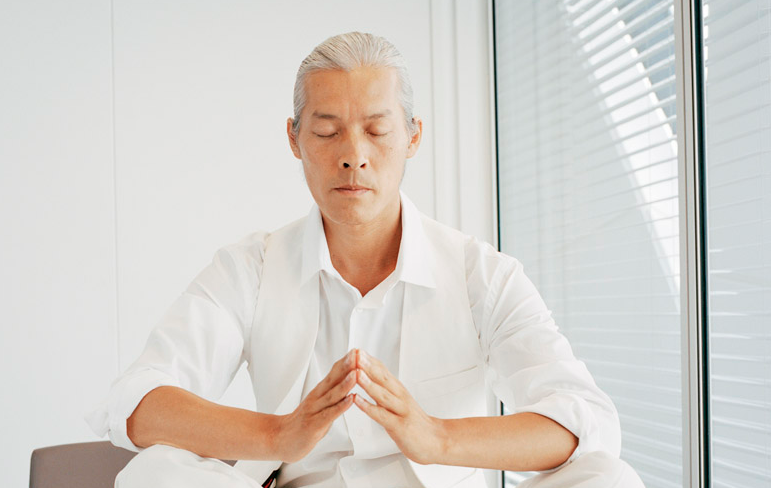 He applies his practice of Qi Gong to his modeling work, especially life modeling. We are indeed exceptionally fortunate to have Tom as our life model for our next two life drawing sessions at Bucks. 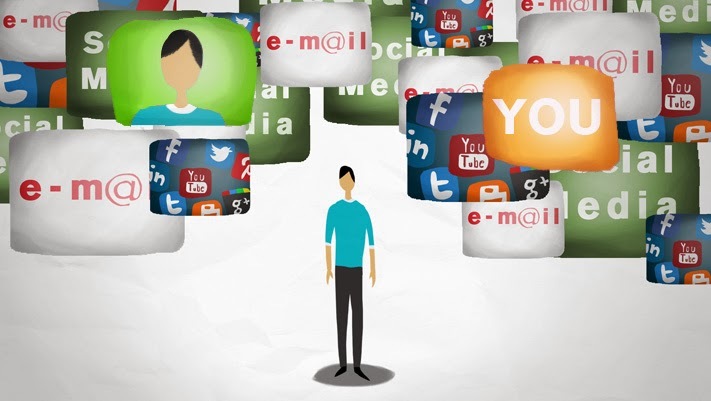 Graduate Panel Friday March 21st - how do graduates find work in digital media? On Friday March 21st we will be running a Graduate Panel from noon until 3pm for all our undergraduate students studying Film & TV Production, Animation and Audio & Music Production. The idea is to bring back some of our most successful alumni, those who have progressed well within their first few years of graduating and beyond, to share their experiences and make suggestions as to how our students might achieve that vital big break into their chosen field. Who will be there? Our guests will be Bucks graduates, many of them working in animation and digital media, who will be returning to the Uni to share their insights into how they forged their careers. They were themselves students at Bucks, so they know better than anyone what it takes to turn a degree from BNU into a successful career in digital media. Recently our first year Animation and Visual Effects students completed their second formally assessed animation exercise. This time the project was to animate a series of walk cycles, combining different character walks into one shot. The brief included sound effects and music, collaborating with sound designers to create a miniature short film. Many students came up with very imaginative work, understanding that as an animator it is necessary not just to be technically good but also to be entertaining. 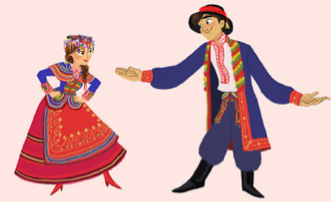 Good animation combines creativity with technical prowess - after all, animators are actors with a pencil - or a mouse. One of the most effective ways that we can ensure that our animation and visual effects students at Bucks find work when they graduate is to get out there and find work on their behalf. 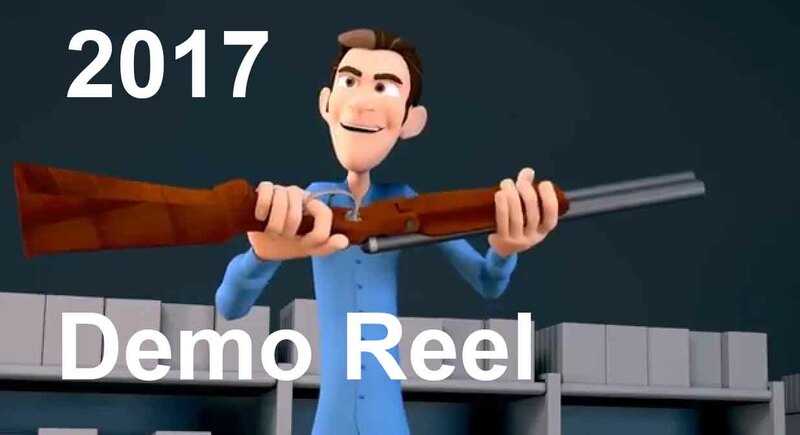 Last year we launched Nano Films, a small animation business making short films for commercial clients. The budgets are not large but then neither are the films, and there is nothing like client-facing projects to give our students the vital experience they need to build a successful career. Anton Alfimenko is one of our first year undergraduates, studying on our new Animation and Visual Effects course, launched in September 2012. One of the reasons that Anton came from Kazakhstan to study in the UK is his passion for Manchester United, and you can see the excellent "Super Fergie" animation he did as a tribute to the retiring club legend Sir Alex Ferguson. 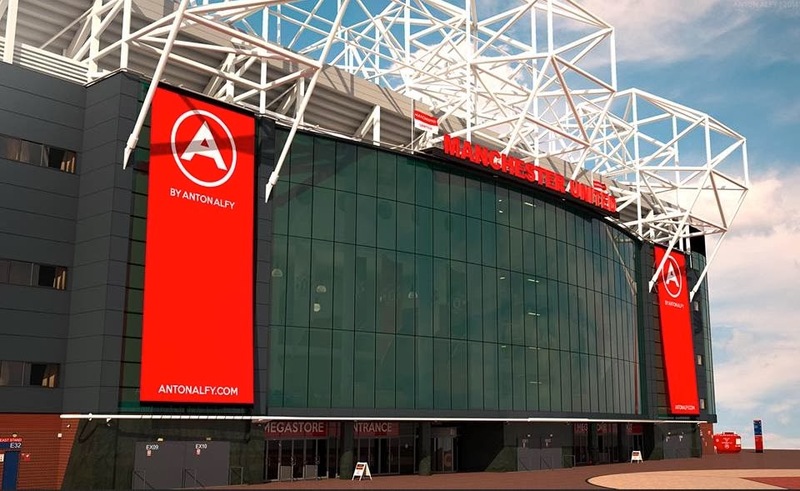 As part of his first year studies, he has re-created a digital Old Trafford club stadium. Here at Bucks we salute Anton's digital skill and his enthusiasm for the club. 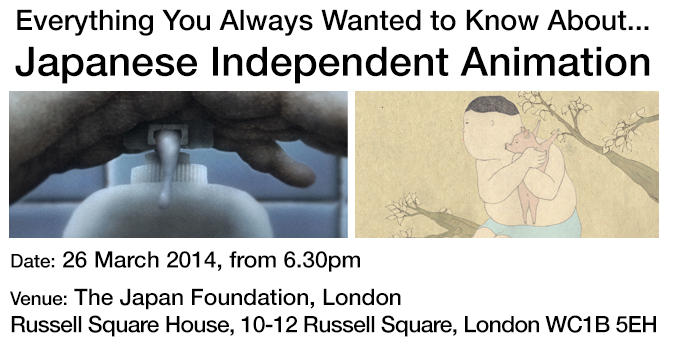 The Japan Foundation in London has invited Nobuaki Doi, animation critic and founder of CALF, the independent Japanese DVD label to give an overview of Japanese independent animation. Independent Japanese animators are producing innovative works which is often very different from the commercial animation or ‘anime’ style which Japan is so famous for. Showcasing the work of Japanese creators such as Koji Yamamura and Atsushi Wada, Nobuaki Doi will discuss Japanese independent animation as a source of global inspiration as well as exploring what makes Japanese animation among the best in the world. How do you start a small animation business? One of the most common questions asked by prospective students at our university open days is "how many of your graduates find work in the industry?". After all, it's all very well to train animators and digital artists to do excellent work, it's quite another to turn that knowledge into a successful career. 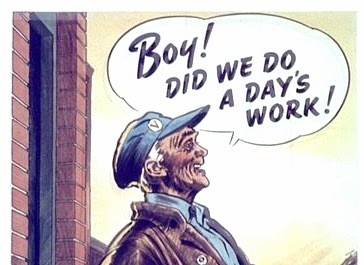 In media production of any kind, jobs for life are nowadays almost non-existent. Even highly successful artists tend to be freelancers of one kind or another. But there is another way of dealing with the perpetual uncertainty of finding paid work in the arts - and that is to start your own business. So how, exactly, might you go about doing that? 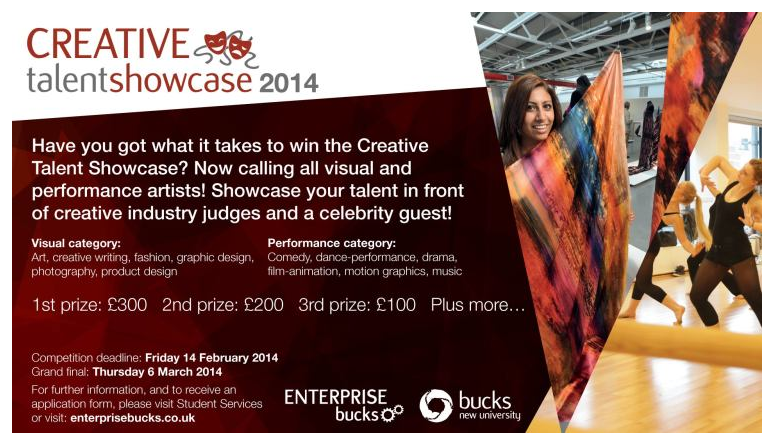 Calling all animators - don't forget to come along tonight on Thursday 6th March to support your fellow student Ben Gray in the Bucks Enterprise Creative Talent Showcase. Ben's game Moonbeam was shortlisted for the Talent Showcase back in February, facing off stiff competition from undergraduates all across the University, Ben was competing with students from other creative disciplines such as product design, dance performance, stand up comedy, fashion, art fixtures and film-making. Buckinghamshire New University has a relatively small campus by university standards, but our sprawling complex of buildings in High Wycombe can be still hard to navigate, especially in your first semester or two. Lost at Bucks? Find our fabulous map below. Are Universities Failing the UK's Visual Effects Industry? Pat Joseph, co-founder and chief creative officer of The Mill, certainly thinks so. In this post at the Televisual blog, Joseph argues that higher education in the UK is not responding to the needs of the visual effects industry, and is not training students of the digital arts to a sufficiently high calibre. 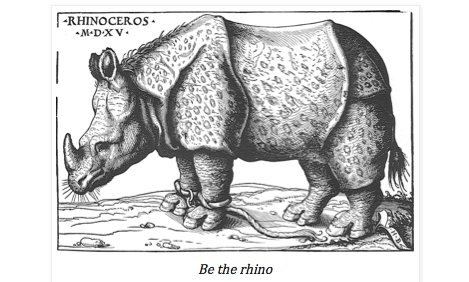 What can universities do to try harder?